Two bedroom rancher located in the desirable community of La Mesa! This layout offers a few different options depending on your lifestyle, the eating area could easily be a dining or family room. There is a bright oak kitchen with good cupboard space and a window over the sink. Master bedroom is large and the second bedroom is a good size as well. The furnace was installed in 2009. 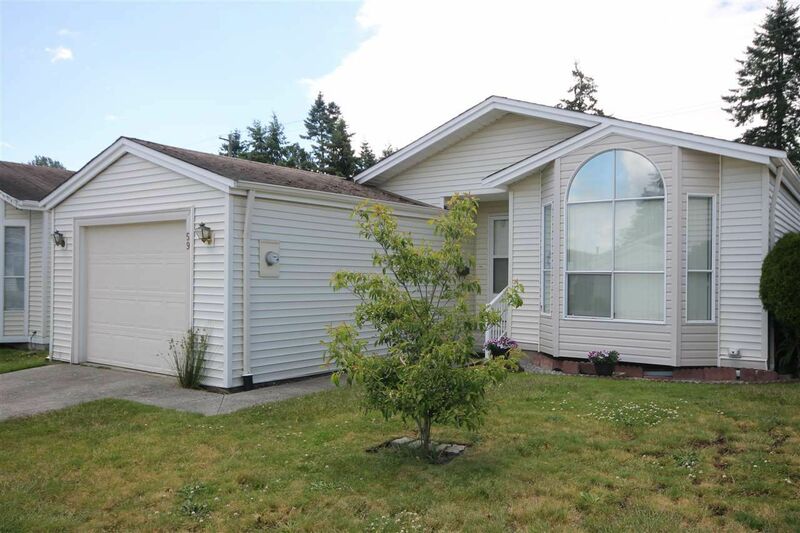 You will enjoy the private and fenced south facing yard with a large covered patio area. Welcome to those 55+, two pets are ok and monthly maintenance is $145.00.